Could your business use an efficiency makeover? With the full year ahead of us, 2017 is the perfect time to evaluate business operations and find technological solutions that can help you become more organized, productive, and profitable. Today we offer a dose of inspiration from Dementia Adventure, a UK social enterprise, and charity, that has grown from humble beginnings to international ambitions through their clever usage of Insightly CRM. Dementia Adventure is a charitable organization that helps people with dementia and their family caregivers reconnect with nature, the outdoors, and physical activity. The mission goes against the preconception in the health sector that caring for those with dementia should involve keeping them indoors, inactive, and heavily medicated – a model that contributes to the misconception that people ‘suffer’ from dementia when really dementia patients just want to carry on and live their lives well. Dementia Adventure helps them do just that, keeping them connected to nature, the outdoors, themselves, and their communities. The work at Dementia Adventure is carried out in two main areas. On one side, they work to design and deliver small group holidays and experiences for people with dementia; on the other side, they work to train and upskill individuals and organizations in medical settings, care home groups, and private sector organizations so they can more effectively communicate with and support people with dementia. With two focuses, Dementia Adventure has many clients and customers to work with, including dementia patients, families, skilled health workers, and organizations. Dementia Adventure started out as a local charity in rural Essex, England, but has grown to serve a client base across all of the UK through word-of-mouth marketing. With an international following, they aim to replicate their success in other countries but to do that they needed a smarter way of engaging with new and existing contacts. 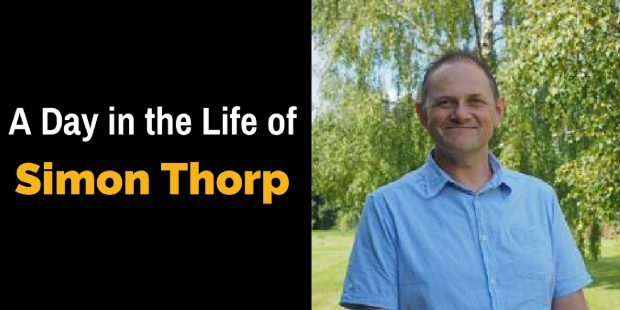 With a background in managing data and utilizing customer relationship management (CRM) technology, they hired Simon Thorp as Business Development Manager and tasked him with developing a better system for managing contacts and operations. Like most small businesses, Dementia Adventure sees their contacts as the key to their survival and growth. “Those contacts for us are really our evangelists. They’re the folk who save us spending dollars (or pounds) on advertising by recommending us because we are great at what we do and we fill a gap that is important,” Simon told me during our interview. See how @insightlyapp helped this #smallbusiness grow to have #global #ambitions. A Comprehensive Internal Needs Assessment: Simon and the Dementia Adventure team evaluated who would need to use the CRM system, and what the system would need to provide in order to empower these employees to do their jobs more effectively. Assessment of CRM Options: Next they evaluated all the various CRM systems that were available, including open-source and paid solutions that ranged from very small up to enterprise-level. Comparison of Needs and Options: Looking at the organization’s needs and the various CRM solutions, Dementia Adventure decided that Insightly was the perfect match. “A CRM is only as good as the data which is in the CRM,” Simon conveyed to me in our interview. He knew that to effectively leverage the system they would have to start out by populating it with really clean, high-quality data, so the first step was to clean up the data then input it into Insightly. While many small business owners don’t share Simon’s love of data, he makes a valid point about why you should treat your data with care: “Data is incredibly important because data – by another name – is your relationships and your day to day contacts: your business leads, your opportunities, your income, your survival, and your growth.” By starting with the best data, you can better utilize your CRM, strengthen your customer relations, and grow your business. From the first face-to-face meeting, exchanging thoughts, comments, and business cards to gaining an intimate understanding of how that person or organization ticks. From finding opportunities with that person or organization to creating projects from that opportunity and managing the stages of the projects. From completing a single project with a person or organization to reactivating the relationships and retaining them as a life-long customer. Before Dementia Adventure had found Insightly, they were not able to professionally and effectively do all of these things. Now they use their CRM to support the day-to-day business of interacting and engaging professionally with customers. It enables them to spend less time shuffling papers and doing things manually or inefficiently, and more time organizing and delivering the relationships and services that have made the charity such a success. If you do not have a CRM yet (or don’t think you need one), Simon urges you to stop for a moment and think about all the time you spend juggling contacts in your head, on sticky notes, in multiple spreadsheets and lists – and think about how much more effectively and smartly you could grow your client relationships if you could say goodbye to all of your inefficient administrative tasks. Selecting and adopting a CRM does not have to be as expensive or problematic as you might think, and you can rely on your CRM’s customer service to create a system that supports your organization’s needs.